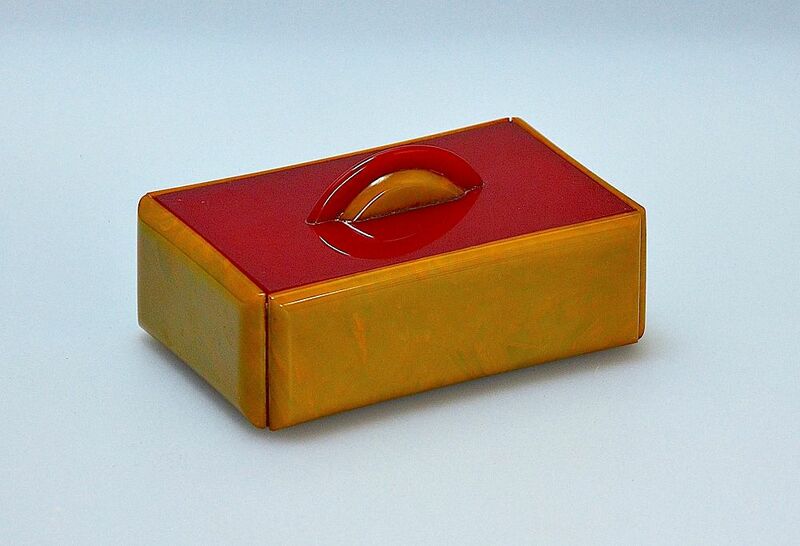 I fell in love with this Art Deco box immediately I saw it. 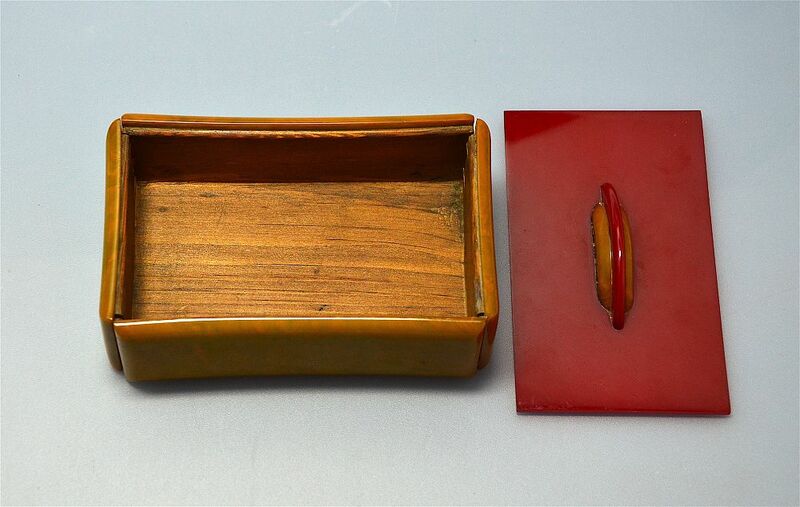 Each side is of moulded green/yellow bakelite and the interior is wood. 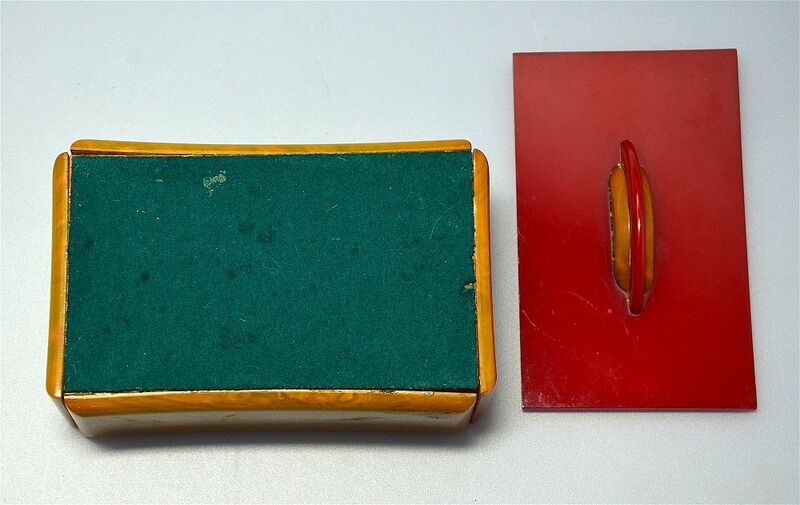 The top of the lid is red and the handle is red bakelite sandwiched between green/yellow bakelite.